Kakkoi in Densha Otoko, even though he was an otaku. Contrast with his televised interview, he isn't dorky in person. So kudos for his performance! This guy is so dorky in Densha but he's great in Yoshitsune. It goes to show his versatility as an actor. This guy gets one of my votes! Ah, what a nerdy guy. Too much fun watching this timorous guy reading hesitantly his lines. I'm sure is a virgin in real life too. Played one of the greatest underdogs in television history. kita! he was soooo good im densha otoko!! Did a great job in 'Densha Otoko'! Definately gets my vote! I can't imagine anyone else as Yamada, he IS the Train Man! 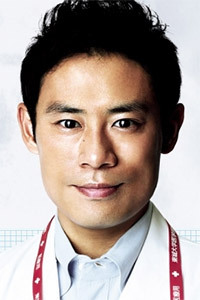 marvellous performance in densha otoko.. great actor! GREAT in Densha Otoko!! Amazing actor! he's good in densha otoko!! good job in densha otoko!